During the nineteenth century many of Europe's capital cities were subject to major expansion and improvement schemes. From Vienna's Ringstrasse to the boulevards of Paris, the townscapes which emerged still shape today's cities and are an inalienable part of European cultural heritage. 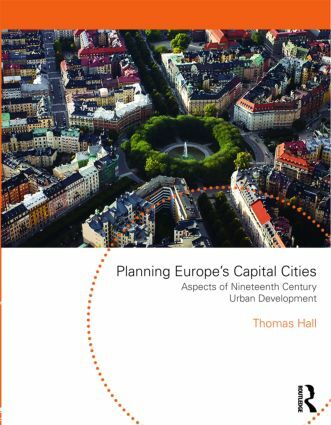 In Planning Europe's Capital Cities, Thomas Hall examines the planning process in fifteen of those cities and addresses the following questions: when and why did planning begin, and what problems was it meant to solve? who developed the projects, and how, and who made the decisions? what urban ideas are expressed in the projects? what were the legal consequences of the plans, and how did they actually affect subsequent urban development in the individual cities? what similarities or differences can be identified between the various schemes? how have such schemes affected the development of urban planning in general? His detailed analysis shows us that the capital city projects of the nineteenth century were central to the evolution of modern planning and of far greater impact and importance than the urban theories and experiments of the Utopians.